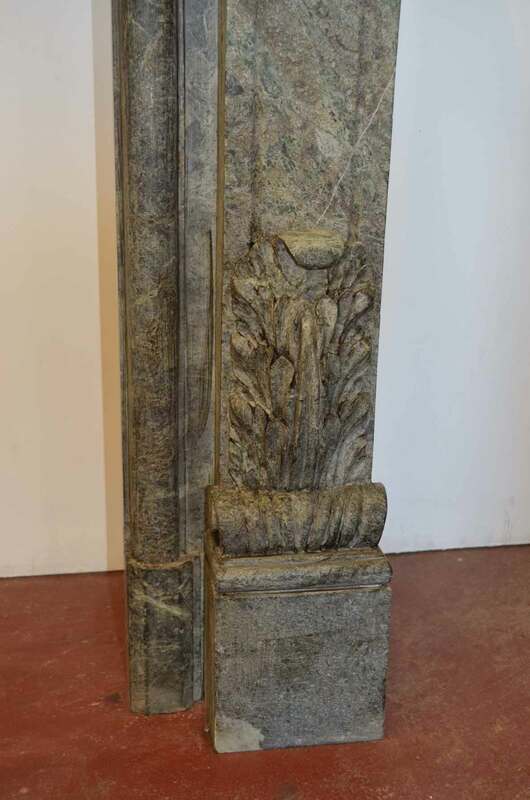 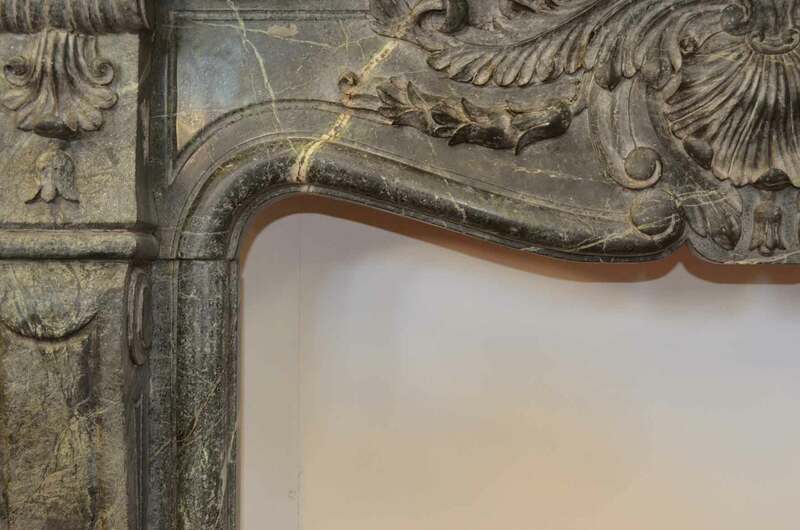 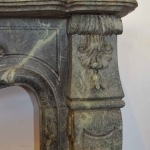 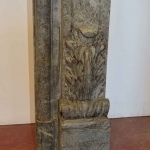 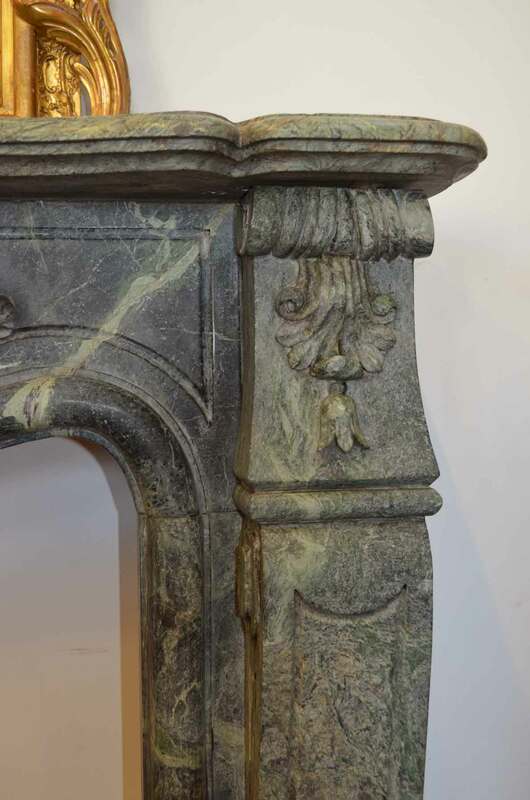 Old grey marble fireplace. 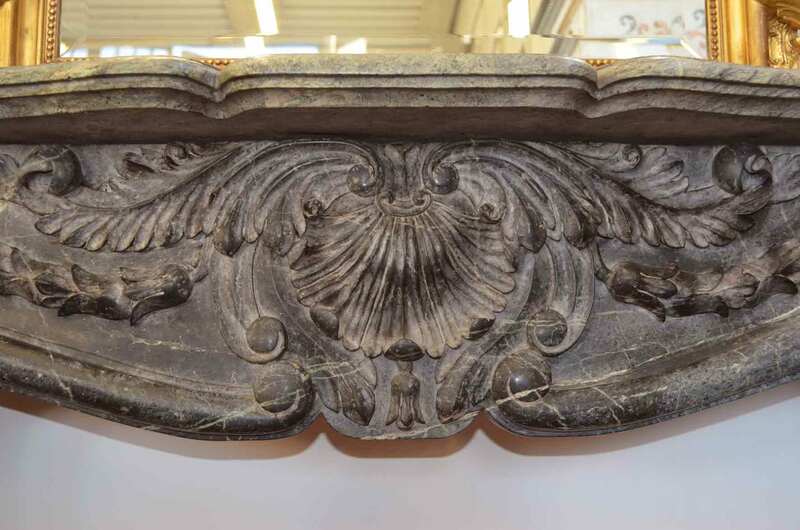 Elegant design enriched by hand-sculpted bas-reliefs. 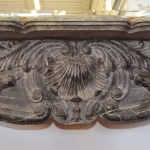 Dimensions and materials can be customized upon customer request. 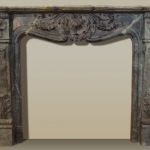 We are able to make custom fireplaces by following our customer’s idea and design. 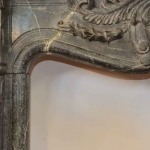 Contact us for further information and to submit your request.